You may be tempted to skip your air conditioner maintenance this year. We understand. A tune up for your air conditioner is not the most glamorous way to spend your hard earned cash. You may wonder if maintaining your air conditioner is really necessary. Here at WeatherMaster, we see it every summer. Many homeowners mistakenly believe that HVAC maintenance is more expensive or time-consuming than it is, and so they skip it all together. Unfortunately, many people neglect to pay much attention to their air conditioner until it stops working. Then they are faced with unexpected repairs, or worse, they have to replace their air conditioner before its time. The truth is, your air conditioner needs regular maintenance to keep it from breaking down on you when you need it most- like the hottest day of the summer. 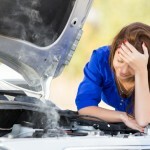 You wouldn't expect your car to keep running, day after day if you never maintained it. The same logic applies to your air conditioner. Instead of every three months or 3,000 miles, you need to have your air conditioner maintained once a year. We recommend having your a/c tuned up during the Spring before you need it. That way you avoid the rush and avoid problems when you need cool air most. Fortunately, you don't just have to take our word for it. According to Angie’s List, regular maintenance is one of the best ways to keep your air conditioner running efficiently for as long as possible. That’s right. A tuned-up air conditioner is also a more efficient one. Heating and cooling costs make up approximately 50 percent of your home’s energy bill, and keeping your air conditioner as efficient as possible can help keep your utility costs low. In addition to extending the life of your air conditioner and lowering your energy bills, a tune-up can help you catch any potential issues with your air conditioner. Issues that could mean a new air conditioner before you're ready to replace your current one. Give yourself some peace of mind this summer, and schedule a tune-up for your air conditioner. You may be surprised how simple and inexpensive taking care of your HVAC system can be. For more information about the benefits of maintaining your air conditioner, visit our website or contact Weathermaster today. If you live near Raleigh, North Carolina, schedule a tune-up for your air conditioner today and we will be right over.